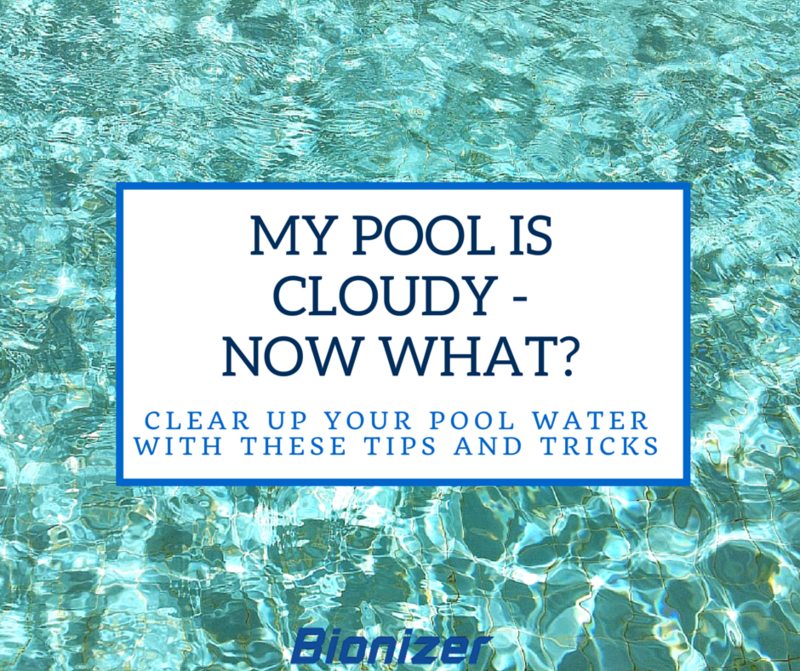 When something is just not quite right in your pool or it looks cloudy, it is often recommended to clean your pool manually. 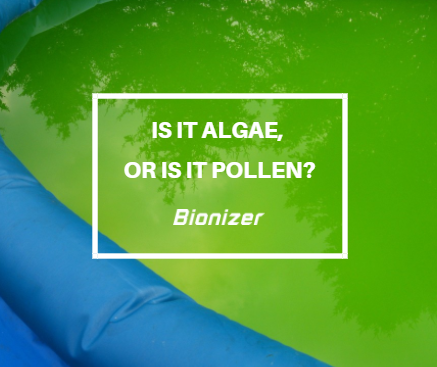 When that doesn’t solve the issue and it keeps reoccurring, the next common step is to check your pool equipment. But – what if you are looking in totally the wrong direction for a solution? What if we tell you that 8 out of 10 times, it is not the pool equipment that is letting you down, but the water flow in your pool. The key to a clean and healthy pool is good circulation of the pool water. Your filter is designed to clean the water, but it can only clean water that actually passes through it. A lack of circulation will allow dirt to settle in a areas of your pool that will eventually affect the overall cleanliness and clarity of your pool water. To make sure all the water in your pool gets filtered, you will need good circulation in your pool – so clean water circulates correctly and dirty water is passed through the filter. 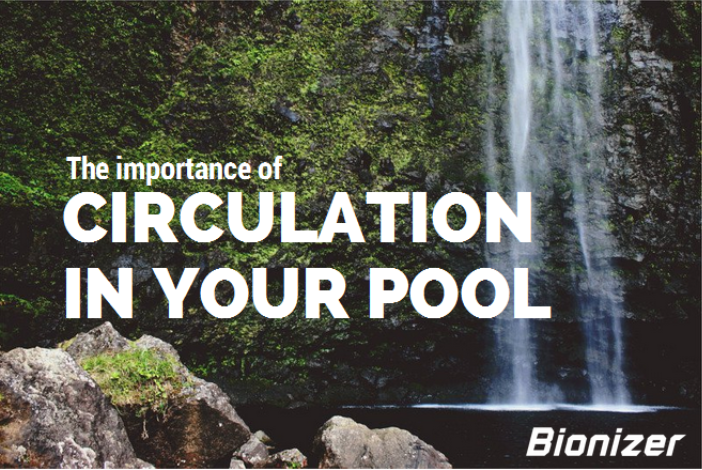 Good circulation will not only decrease the amount of pool cleaning you will have to do, it will also decrease the amount of chemicals and sanitiser needed. Your pool water will stay healthy and clean for longer and won’t need as much treatment as it would when there are dead spots in the pool where debris can accumulate. The water will also stay cooler with decent circulation. Want to know what you can do yourself to improve the circulation in your pool? Keep reading and check out these tricks below to get the water flowing. The first thing you will want to do is check whether all the skimmer baskets on your pool and the main drains are operating and pulling the water from your pool into the filtration system. How? Put your hand near (not too close) the suction part of the skimmer basket and drains to check whether they are pulling the water in. Needless to say that skimmer basket(s) full of debris and leaves will affect the circulation in your pool. Make sure to keep them clean! Your return lines or return jets are the outlets in your pool that bring the filtered water back into the pool. 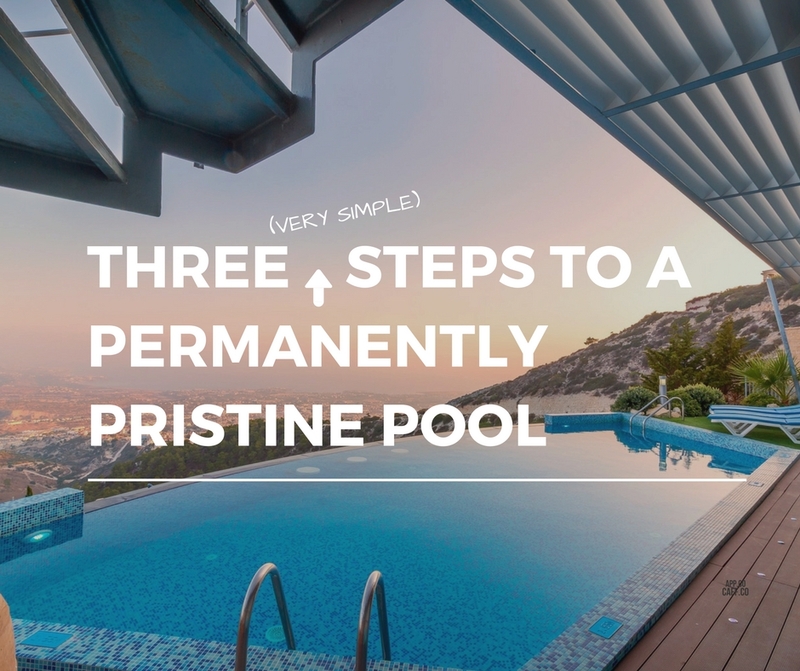 By aiming the return lines properly, you facilitate your pool water to circulate and prevent dirty water to stay in one place without going through the filter. The goal is to try to circulate the water away from the skimmer basket (to prevent the clean water to go straight back into the filter) and towards the bottom of the pool to create optimum circulation of the pool water. In order to achieve that, you should angle all your return lines to either 7 or 4 o’clock, whichever is away from the skimmer basket (same angle for all return lines). If you have return lines in your steps, make sure to angle at least one of them at the top step. Otherwise dirt will collect on the steps. Making sure there is proper circulation in this area will prevent this. Your pool filter is a big part of the success of the circulation. A clean filter that operates at ‘normal/clean filter pressure’, will give you the best results. You can check the normal pressure of your filter by checking the pressure gauge after a fresh back wash or filter clean. When your pressure gauge goes to 50kPa above the “clean filter” pressure, it’s time to backwash or clean the filter. Every pool filter has a few O-rings that help seal the filter and prevent it from leaking or letting in air. There O-rings need to be lubricated and in good condition to guarantee this, especially the O-ring that you find in the pump lit. If your O-ring is cracked, you will need to buy a new one. You can check for cracks by bending it between your fingers. If it is not cracked or when you use a new O-ring apply an O-ring lube to optimise the seal and water pressure in the filter. An automatic pool cleaner might seem like your best friend when it comes to pool maintenance and of course it makes things a lot easier. Be aware that permanently leaving the suction type pool cleaners in your pool will slow the water flow down. We recommend limiting the use of these pool cleaners to once or twice a week. Now that you have checked the skimmer basket, drains, return lines and filter, you should be getting the optimal circulation for your pool with your current set up. Are you still experiencing dead spots in your pool? Brush these spots manually when your filter is running so the particles that you brush up will go through the filter before they get a chance to settle down again. Another great trick is to add a circulator to your return line, like this one. A circulator will disperse the water in different directions when it comes out of the return line, allowing a much better circulation of the pool water. When installing the pool filter and pool pump, make sure there are as few 90-degree bends in the pipework as possible. Preferably use 45-degree connectors where possible as these allow greater water flow and are not restrictive like multiple 90-degree pipe joiners. For more tips on cleaning your pool, also check out our 11 steps to professional pool maintenance.